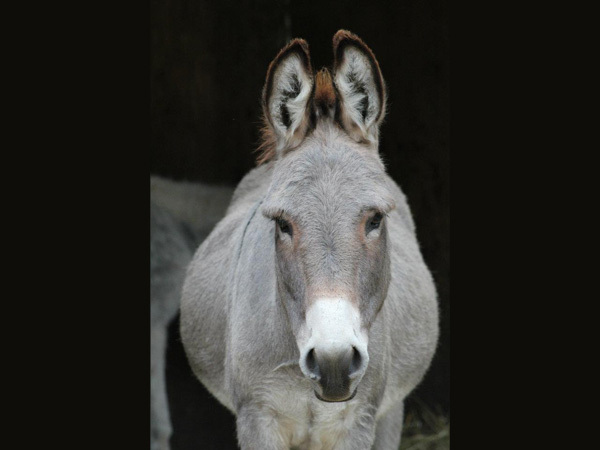 We are so thrilled to share that Kirby was adopted in June 2017 to the same family who adopted mini-donkeys, Bob, Betty, and Flyer. 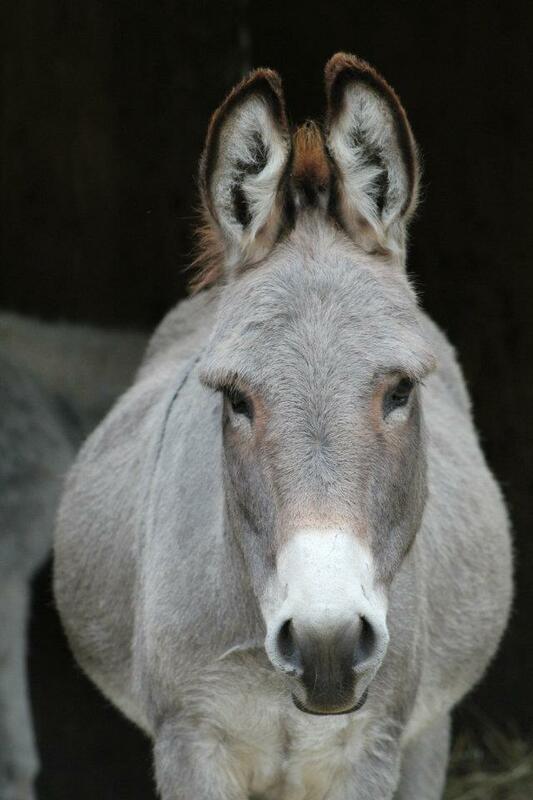 Kirby came to us in 2004 and was a gentle donkey who remained submissive amongst the herd. After he settled in at the farm, he became one of our most active donkeys who loved to run the field and play tug-of-war with his friend Flyer, a mini-donkey. When Flyer was adopted along with his parents, Bob and Betty, it was then that Kirby retreated again to the periphery. He remained gentle and curious, but was often just out of reach for an ear rub or brushing from our regular volunteers. 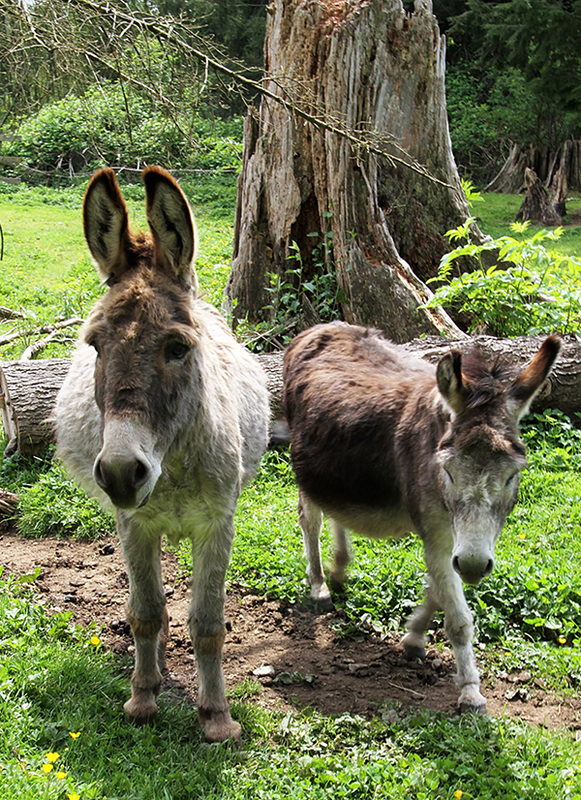 A year after saying goodbye to his best play-mate, Kirby has been reunited with Flyer at a beautiful home where we hope he will live out his days in donkey bliss. Kirby’s new family have shared that he is regularly seeking out ear rubs and attention and seems to be adjusted very, very well to his new home. We are so happy for you Kirby . . . a more gentle soul there could not be . . . but then again, that is the mark of a donkey.